In the ten years, give or take, that Will and I've been married, there's one thing that we've never done together. And I think you'll be stunned to learn what it is. We've never, ever run a race together! Shocking, right? Especially given the fact that both of us love to stay active. 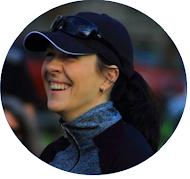 There was one event, back in 2013 when I was seven months pregnant with J Bear, where Will ran the 5K and I waddled the 1K. But while it was technically the same race, our events had different routes and different starting times, so we never even saw each other until after the race. So I'm not counting that one. Flashback! At the 2013 event in Bloemfontein, South Africa. I was seven months pregnant with J Bear and Miss K was still just a wee little one. But fear not, we've put an end to the madness. 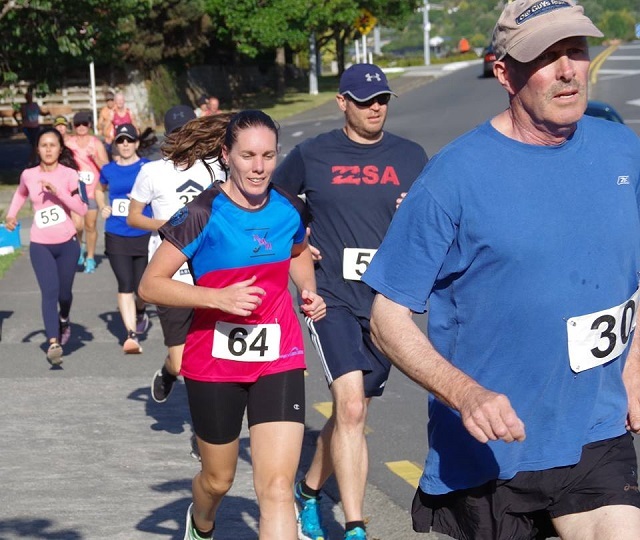 Two weeks ago, we toed the same starting line at the Waikanae 5K Summer Series. 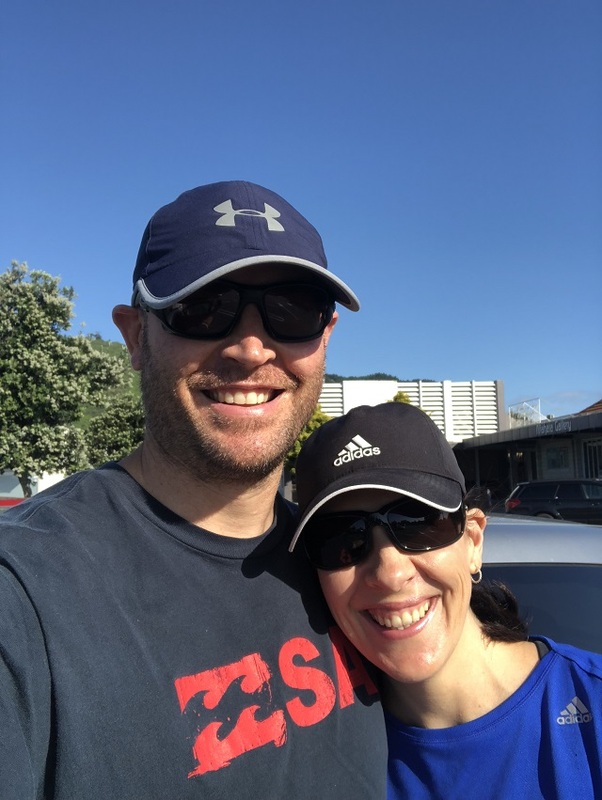 The kids happily spent some time with their babysitter, whom they love, so we had the opportunity to finally channel our inner competitive running couple. Hooray! Will is much stronger than I am at the moment, so we agreed that he'd go ahead in front if he felt up to it. And boy, did he feel up to it! He clocked a 23:14, leaving me in his dust and claiming 12th male overall. I finished just over a minute after Will, clocking a 24:25 and claiming 5th place in the women's race. And yes, by the time I finished Will looked rested and ready to tackle another five...! 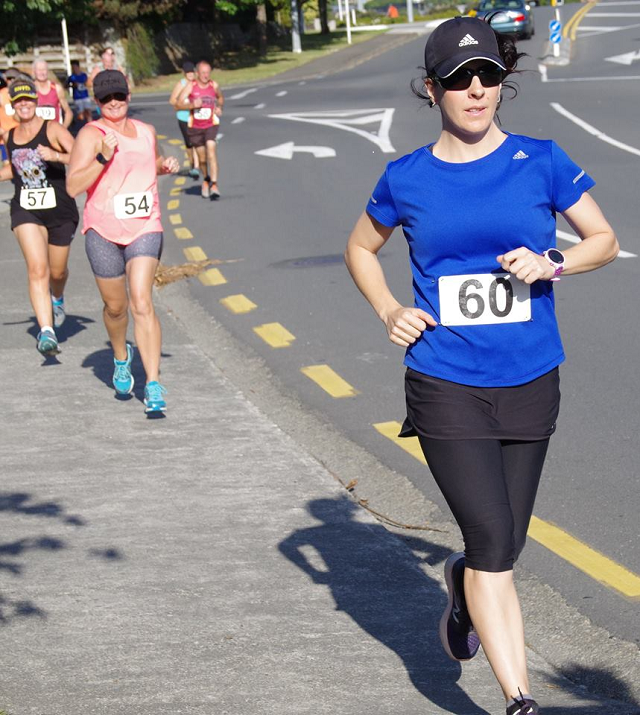 Photo by Kapiti Running & Tri Club. So while logistics caused us to miss out on our annual running date (you can read about a previous one here) at the end of 2017, this more than made up for it. Here's to running many more races side by side in future!